Episode 66 of Elvira's Movie Macabre, The Monster Club, was broadcast on February 6, 1983. It is important to me for two reasons. The first is that it was shown one day before my 14th birthday. Secondly, it is the first episode of Movie macabre I consciously remember seeing. I may have seen it before then, but this is the first one I remember. I loved this movie so much I now am a collector thirty years later. I own the British quad poster designed by Graham Humphreys. Interestingly, he was fresh out of art school when he designed this poster, and had seen nothing but a few stills from the production department when he painted the poster. It looks almost nothing like the movie, and I've never opened it from the package i received it in, but one day I will take it out and have it framed. 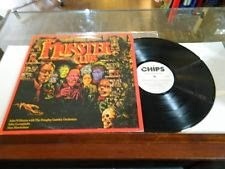 I also own The Monster Club soundtrack on vinyl. And it is awesome. 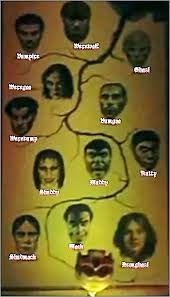 However, the holy grail of Monster Club collectibles to me is this... a Monster's genealogical Chart, drawn by British comic book artist John Bolton. Last year I contacted John's wife, who handles the business side of things, and she told me she had found this in the basement and sold it a few months before. I didn't ask for how much because I would have been heartbroken, but just knowing it exists gives me hope I might one day be able to buy it. John Bolton and Dez Skinn also did a graphic novel version of the screenplay, which came up on Ebay a few months ago, and I passed. I anticipate being able to find another one of those, but I think the Monster's Genealogical chart is a singularity. The movie itself? Spectacular. 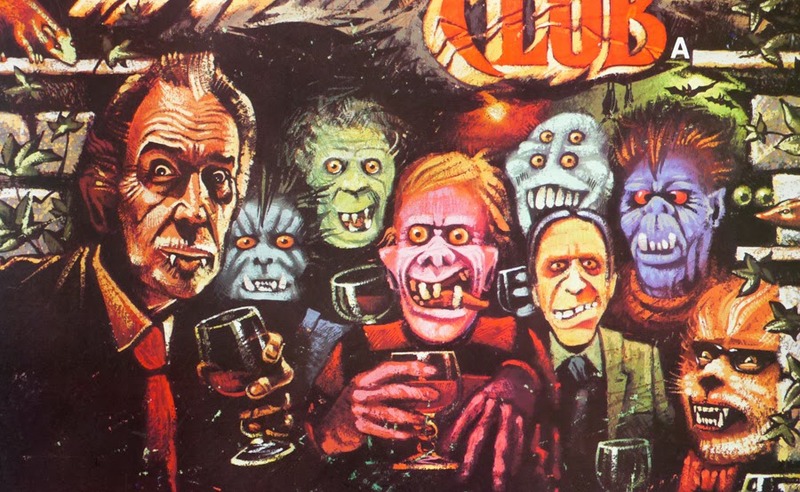 Every time we pass by the title loan shop that inside a former Taco Bell that used to be a Video Outlet I tell Jenny that's where I got the copy of The Monster Club I recorded from one VCR to another VCR and have watched over 150 times and still own today.